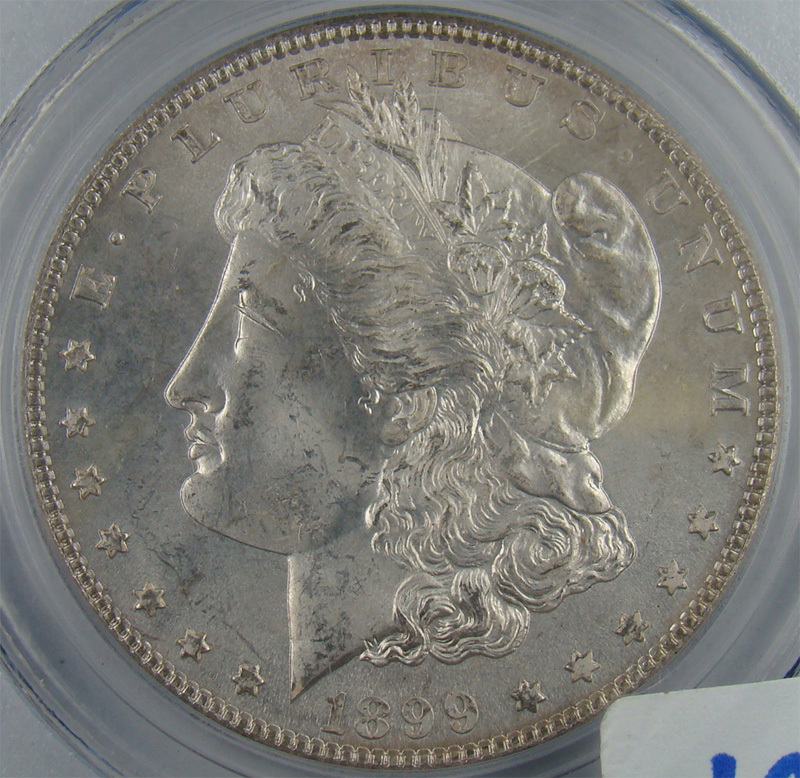 Readers of Coingrader Capsule know that occasionally we cover online estate auctions, noting peculiarities of grading and bidding on Internet and advocating for clearer photos of obverse and reverse as well as fair policies that include reasonable buyer’s fees and return policies. One of the top houses perfecting those basics is Western Auction whose owner, Dave Zwonitzer, offers rare silver and gold coins, often holdered by major companies, and charges buyer’s fees as low as 5 percent–among the lowest on Proxibid. Earlier this year Western Auction featured an exciting catalog that included, among other things, an 1891-CC MS63 NGC $5 Liberty gold piece; an 1860 Charlotte $5 gold coin; and an 1899 MS65 PCGS Morgan dollar, in addition to more than 300 lots of gold, silver and rare copper coins–a consignment easily worth six figures. More than 100 online bidders eagerly awaited this auction because of the quality and variety of coins and currency. You can view the entire offering by clicking here. On the day of the auction, bidders checked the online auction only to learn that all lots were deleted. Zwonitzer’s consignment had been stolen. Zwonitzer tells of the coin theft and asks readers for help if they come across any of his coins in their bidding or buying. The thieves may be in the process of selling the coins after a two months’ hiatus. Zwonitzer learned about the theft in a 2:30 AM phone call from the police department, informing him that “our door was open at our business. Upon arriving at the store we checked on the coins that were in a location that very few people were aware of and determined they were missing. We further discovered that our security tapes were taken from a distant location in the store. Anyone who has information about the stolen coins or the theft should contact Detective Jim Harper of the Cheyenne Police Department (307-637-6510, Case# 11-6189).